3 level split with recent updates in immaculate condition. Great location, near schools, shopping, transit, hospital and golf course. Home has recent updates: modern kitchen, new carpet, paint. As you walk into the main living area you have your living room, spacious kitchen, dining which leads out to rear south facing patio. On the upper level is 3 bedroom and a full bathroom. Lower area features 2 piece bathroom, laundry area, large family room with a den area as well, which leads to a large double garage with high ceiling area for added storage. 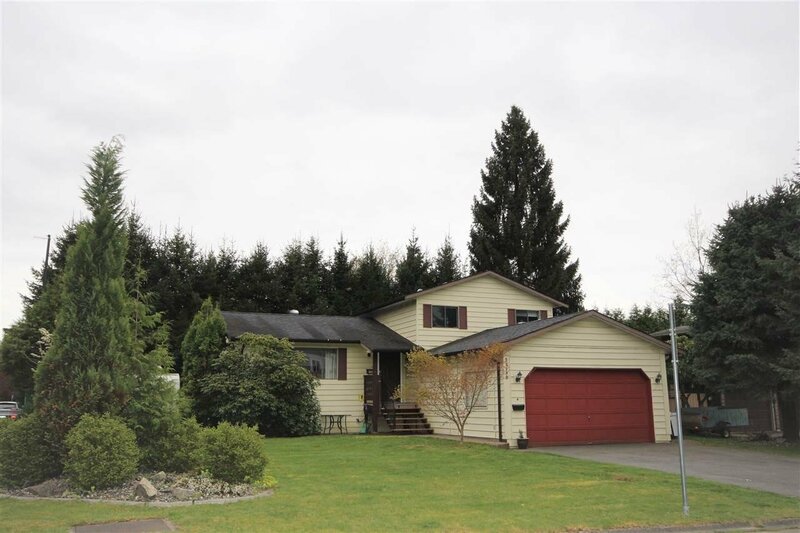 The backyard is fenced and surrounded with mature cedar trees for added privacy with bonus in-ground sprinkler system. Call today to schedule a private viewing!